Discreet Investigations, Inc. was formed after company principals left other highly acclaimed private investigator firms with the goal to create an affordable private investigative team based in Las Vegas, Nevada that specializes in Infidelity surveillance and domestic investigations. Discreet Investigations, Inc. has established a reputation within the industry for providing a degree of unmatched excellence. With our diverse team of professional private investigators located in Las Vegas we are capable of conducting investigative work throughout the entire state of Nevada. Our network of investigative associates reaches across the country and around the globe. Collectively, our Las Vegas private investigators bring over thirty years experience to the firm in conducting infidelity private investigations for cheating wives, husbands, boyfriends, girlfriends and domestic investigation services. 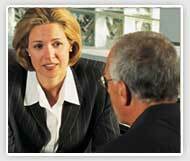 Discreet Investigations offer free confidential consultations. We know that being discreet is just as important as your investigation. 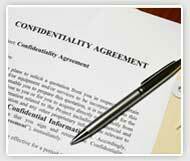 We take every security measure to insure your confidentiality. Call us today and let us assist you with your domestic issue. We do not subcontract our work and you will always have contact with the private investigators working your case, allowing you immediate access to what is happening with your case. Providing indisputable evidence and timely information to all of our clients is our top priority. In most cases we can have video evidence to you within minutes of it being filmed.